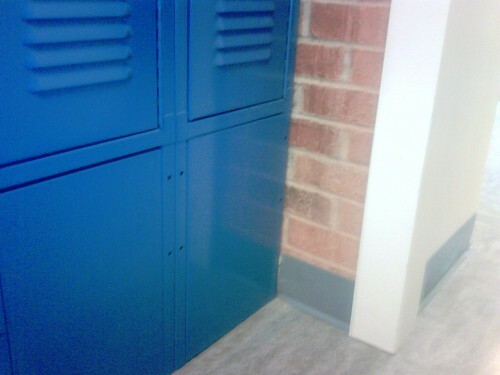 ADA Locker Design Tips, a photo by Gale's Industrial Supply on Flickr. Having the lower locker in a gym, school or workplace means bending over to access your locker. If your on crutches or if you have a bad back. Gale's offers locker bases up to 16" high. Raising the bottom locker 1'-1/2. A good cost effective solution for every locker room. ADA lockers are required by federal law. Each locker room must have at least 1 ADA locker or 5% of the overall number of lockers. Gale's (est, 1938) offers free onsite layouts, space saving solutions and ADA & code guidance. contact us today for immeidiate assistance. Labels: "NEW ADA Locker Design Tips June 2011"